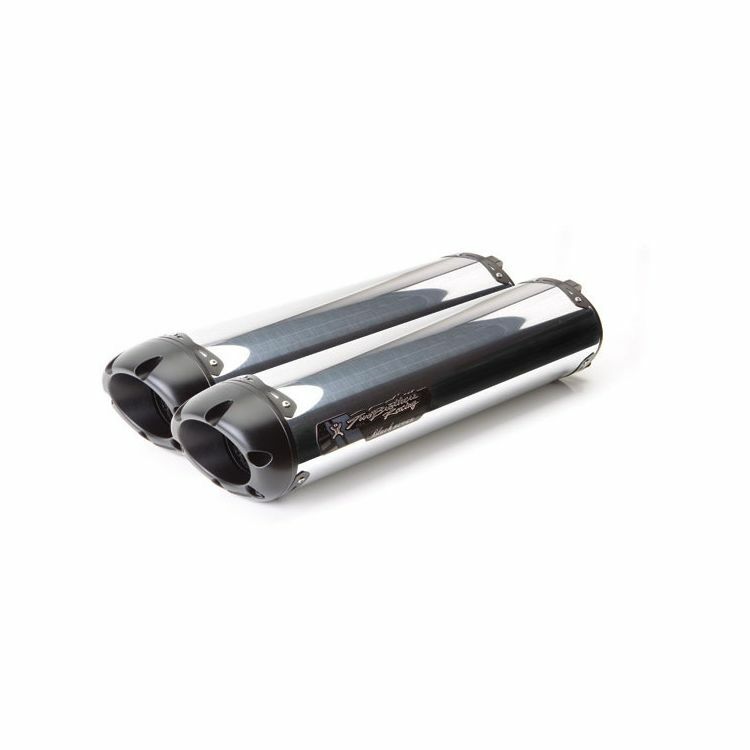 The Two Brothers Black Series Slip-On Exhaust has become a staple among TBR customers who are seeking to unlock the vast potential in their motorcycles. What makes the Black Series so unique? True to its name, the Black Series exhausts are constructed with black Teflon coated cast magnesium end caps, black billet aluminum inlets and outlets, and black canister reinforcement bands. Every little detail has been considered and you get to reap the benefits of that amazing TBR performance and sound. Each Two Brothers Racing M2 Slip-On features the same high level of quality construction and is designed to be fully-serviceable in the event of damage, routine maintenance or the occasional repack. All TBR’s M series slip-on exhaust systems feature the innovative V.A.L.V.E. system with CNC'ed aluminum inlets. The V.A.L.E. system is TBR's revolutionary, patented method of attaching the muffler canisters to the mid-pipe without the use of springs or welding. 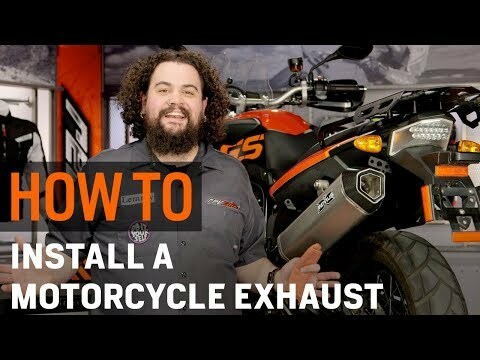 This system allows the muffler assembly - exhaust mid-pipe and canister - to be positioned perfectly on the bike before all the mounting hardware is fully tightened. Once the canister and mid-pipe are properly aligned, the V.A.L.E. assembly locks the muffler canister to the mid-pipe assuring a perfect, leak-free connection. Two Brothers' mid-pipes are manufactured from .035" thick stainless steel and feature a polished satin finish. They exclusively use 304 stainless steel for its high rust resistance. After a few heat cycles the 304 steel turns a golden amber color, which is the signature of high quality stainless steel. The exhaust note produced by all of Two Bros exhaust systems is best described as being deep and throaty, without suffering from the shrill whine normally associated with other manufacturer's straight through muffler canisters. But this bark would be pointless without a bad bite, so no matter which great sounding TBR’s exhaust you choose they will all reduce weight and deliver additional horsepower and torque. As the government aka “The Man” pushes for greater emission restrictions, motorcycle manufacturers are forced to make their exhausts heavier and more restrictive. Two Brothers Racing has given the motorcycle community the means to stick it to The Man with the M Series Slip-On Exhaust.